Two nights ago, I cooked for Gabe Smedresman and Dani Fong and a few of their close friends at their San Francisco apartment. Gabe was at Yale when he created the Turf game (archive.org link) which became somewhat of a minor sensation on campus and he’s now in San Francisco working on a new game which I describe as SimCity meets Fantasy Football. From what I understand, he plans on building a virtual map of the world in which players can buy, run and sell real businesses in virtual space. It sounds like a fascinating project and Gabe has some really interesting thoughts on social game design, backed by real experiences with his work on Turf. Dani is a fellow PhD dropout like me but far more accomplished. Dani is the co-founder of a alternative energy startup,working on more efficiently storing energy as compressed air. They had just announced series B funding that day so that put us all in a celebratory mood.  Dani also keeps an articulate, fascinating blog with tons of fresh insight. Gabe & Dani’s was the first party where I had no idea about what I was going to cook until I got to their house. Menu planning is somewhat of a skill, independent of cooking ability. The art of coming up with a good menu involves a good many things: Making sure you showcase high quality ingredients, you’re getting good value for your money, you have the right equipment to cook all the dishes at the right times, making the menu descriptions sound appetizing, and dozens more. But by far the two most important criteria are balance and contrast. A dinner that is too rich and fatty will end up leaving diners bloated, too many soft textures can end up resembling baby food. Instead, a great dinner should contain enough variation to keep the palate awake and interested. For a geek like me, menu planning is like a giant constraint satisfaction problem. Relatively casual cooks will struggle just to fulfil the basic requirements of a good menu but for more advanced cooks with a deeper repertoire, combinatorial explosion happens and the challenge is, instead that there are too many possible menus, all of which would be good. So especially for cases in which I need to make up a menu on the fly, I will often end up making completely arbitrary constraints on myself that reduce down the possibilities to a manageable set. In this case, my first additional constraint was that the food should be vegetarian friendly since 3 of my guests would be vegetariants. Once I got to the market, my thinking went that the green beans looked really good and the lamb shoulder was on special so I wanted dishes that would incorporate those two. Salad Nicoise popped into my head since I hadn’t made it in a while and, while no french lamb dishes were instantly appealing to me, I really wanted to explore how lamb and fruit paired together and a lamb & apricot tagine really spoke to me (and chickpeas would be an easy sub for the vegetarian guests). Given two roughly Mediterranean dishes were on my mind, I thought a really interesting theme would be a study of how different countries around the same region would be drawing from roughly the same larder and yet use different philosophical approaches to come up with drastically different cuisines. With the menu gelling together, lets get cooking! One of the things I associate with the French cuisine was it’s deep classicism and penchant for fussy, technical cooking. 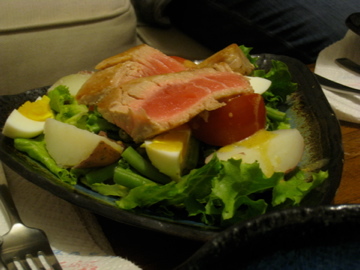 Tuna Nicoise is a dish that’s deeply old school without feeling tired or outdated in any way. This is not a reinterpreted or deconstructed Tuna Nicoise, it’s simply a deeply unironic rendition of the original because it’s original components work so well together. At the same time, it’s also an absurdly fussy dish. The eggs, potatoes & beans are each cooked separately, to just the right consistency, components are individually placed on the plate rather than being mixed up in a jumble like a normal salad and eating it requires you to actually pay attention so that you can assemble a complete salad on your fork. In the end, it was fresh, light and a good way to start off the evening. In this dish, I really wanted to highlight the skill of Italian food at bring out deep flavor from a set of very humble ingredients. The soup was deliberately minimal: kale, onions, garlic, red pepper flakes, olive oil, white wine, vegetable stock, salt & pepper. Italian food is all about little tricks that add just that one iota more flavor that, when combined together as a whole, end up stunning the people who are eating it. The onions were very thinly sliced and then sauteed over low heat for over an hour until they were brown and subtly sweet. The stems from the kale were separated from the leaves and cooked alongside the onions in the last 20 minutes. The kale leaves were briefly sauteed to add just a bit of browning. 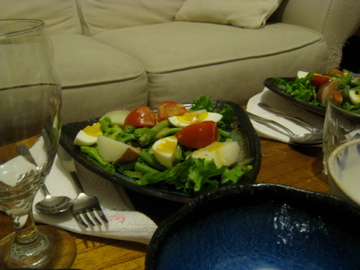 The blanching liquid from the Nicoise was used to add just a subtle amount of body. 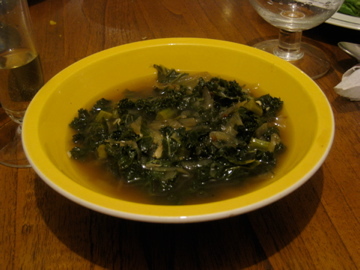 All really minor details that separate a merely ordinary kale soup from a truly special one. The end result was a soup with a stunning depth of flavor for such a humble pile of ingredients. I’m always surprised when I cook Italian food since it’s not a cuisine I prefer cooking but it’s almost always voted as the best dish of the night. This case was no exception. The Tagine was my baby of the evening. 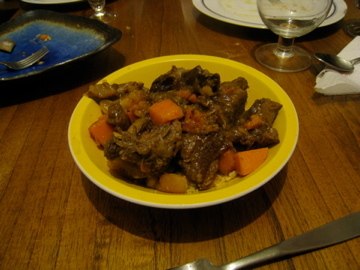 Even though I enjoy the ethos French & Italian cuisine, the lamb tagine was far more my style of cooking. The tagine really highlighted Morrocan cuisine’s masterful way with spices so that it all comes together as a harmonious, complex whole. Morrocans have been cooking sheep for generations and their cuisine has gotten very good at using the complex interplay of spice to tame the rich gaminess of lamb. Also, the blurring of the lines between sweet & savory with fruits & honey being a major component of savory dishes is also something I love playing with because it’s so alien to the classical western tradition. 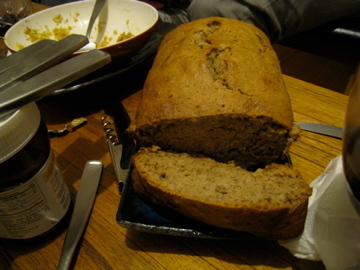 Gabe’s roommate, Daniel, went and baked us all some banana bread and we all slathered them thick with nutella while they were still warm out of the oven. Remember when I said that the most important criteria for a good menu is balance and contrast and that careful thought needs to go into every course to ensure that they fit well into the meal as a whole? Well, this banana bread was a completely unplanned addition added at the last minute with no consultation with me and, you know what? It was a great addition to the menu because the most important criteria for a successful menu is that it is made with love and care and this had both in spades. My dinner party with Dani & Gabe was possibly the funnest time I’ve had in San Francisco this trip because, not only was there good food, there were also great people to be sharing it with. It’s experiences like this that made me glad I did this little experiment. 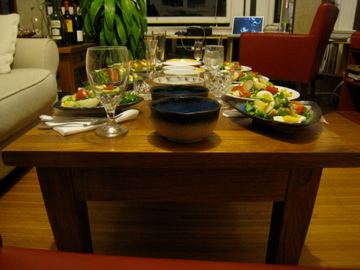 Tomorrow, I will be cooking at the house of Tony Stubblebine & Sarah Milstein for 30 people. Unfortunately, tickets for this event is already sold out but if you’re coming, I look forward to cooking for you! i think that We're going to have to inoculate ourselves against Hacker News Disease and ….. at a dinner party!